It’s cruel irony that I only found the unbelievably divine Humble Bumble after my children had outgrown it – any earlier and I’d have been signing up for their full collection every season. Humble Bumble is an independent label designed by Sunshine Coast mum Jacqui Hollins. The small, exquisite collection is created for baby boys and girls (sizes range from 00 to two years) and the emphasis is on comfortable pieces, just right for play. 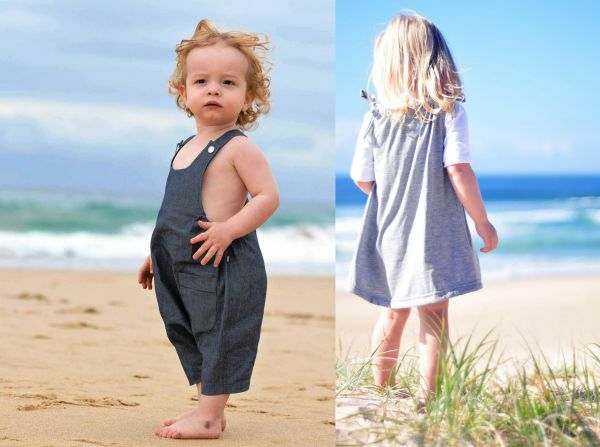 Proving that simple is best, Hollins’ range of overalls, dresses, bloomers and shirts come in practical cotton and denim and a small range of colours – white, greys, cool blues and a splash of watermelon. Now that I have let you in on the Humble Bumble secret, you should also know that pieces sell out quickly so if you fancy your daughter frolicking on the beach in chambray ruffles this summer, get in fast! Prices range from$15 – $42 – order directly through Humble Bumble.